faceless book: A schedule for doing nothing? 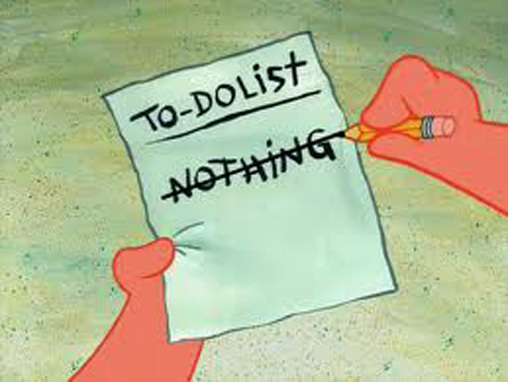 A schedule for doing nothing? My immediate reaction was: Hey, it’s just “doing nothing” we are talking about here. Do we really need a schedule for that? While this sounds like the ultimate irony, doing nothing, for some, including myself, really is not as simple as it seems. It is not as if anyone can allow himself to sprawl on the couch or the beach all day without a bad conscience. How I try to fill up my time commuting to and from work is a good illustration of how I do not allow myself to “do nothing”. The moment I leave home, I put on the earphones and listen to my favourite Internet radio programmes. When I get on the train, I switch off the iPhone and pull out my Kindle and start reading. As soon as I alight, the reading gives way to the listening again. One gadget takes over the other to take over me. I tell myself that I make good use of the travel time. 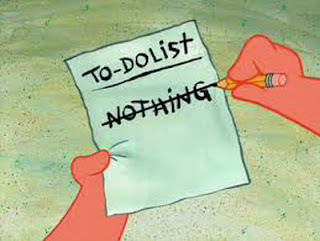 But is there something wrong with doing nothing? Why is it so difficult to just relax or be still? How different is what I’m doing from what I observe with scorn the things other commuters do, such as speaking on the phone, playing games and watching movies or TV programmes? By not allowing myself to do nothing, I am none the wiser.